Join us at the 8th Annual ReeseStrong 5k at Rutland! 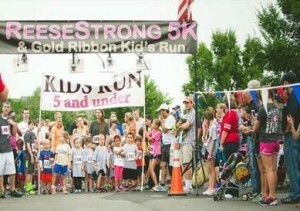 HHHunt Communities is honored to once again be a sponsor for the 8th Annual ReeseStrong 5k and Gold Ribbon Kid’s Run. On September 17th, participants will race around Rutland to help fight childhood cancer and raise awareness for those who are fighting the disease. We believe it’s how you live that matters and we are so fortunate to be a part of the ReeseStrong 5k each year. 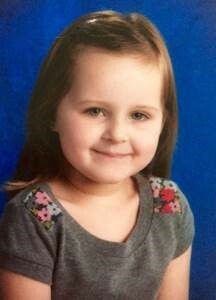 The ReeseStrong Foundation provides financial, emotional and social support for families affected by childhood cancer. One of this year’s beneficiaries is Sawyer, a 6-year-old from Mechanicsville, who is battling an aggressive form of brain cancer. Last year, ReeseStrong was able to distribute $42,000 to local families and $22,000 to support childhood cancer research. Let’s see if we can help raise even more this year! If you haven’t done so yet, there’s still time to register for the race on the ReeseStrong website! This family-friendly event consists of a ¼ mile run for children under five, a ½ mile run for children between six and twelve, and the 5k for anyone over twelve. The event will benefit the ReeseStrong Family Emergency Fund and St. Jude Children’s Research Hospital. We hope to see you at the race and look forward to running alongside Rutland homeowners and HHHunt team members!